Our bodies are a marvelous creation filled with organs that interlock and all work together, but one is more valuable than all the others, because it moves all our life-giving blood, throughout our bodies. 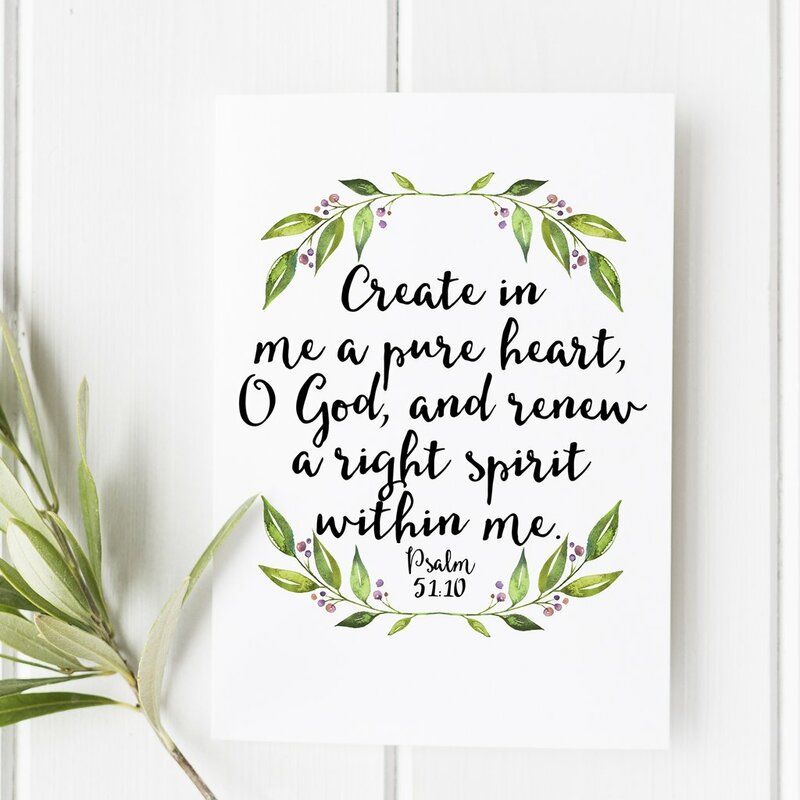 But it is much more than that just that, it is a direct connection to God, and a pure, clean heart is vital to a good relationship with our Creator! This verse, part of a larger prayer written by King David, is a request to God to purify him from his iniquities (or sins). David had just submitted to his earthly lusts and been with another man’s wife, something that he knew was wrong. And even though God knew of David’s weaknesses and transgressions, He still allowed David to become the greatest (human) king in the Bible, and a direct descendant of Jesus Christ. David cried our to his Lord for forgiveness, and begged for a new heart and a clean spirit, something we can all do. God can, and will forgive our transgressions and weaknesses, because He knows we have a sinful nature. Ask Him to forgive you, ask Him to give you a new, clean heart, and begin your life anew.